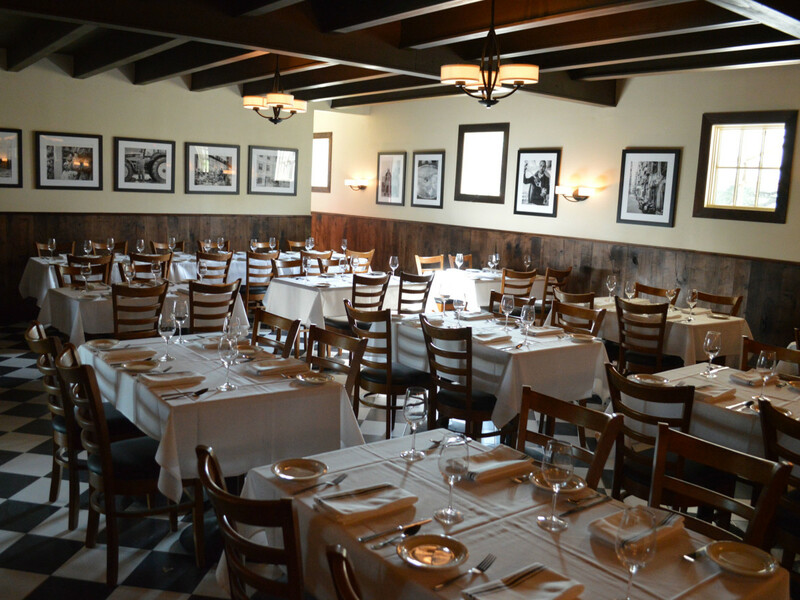 The long-awaited Al Fico has finally opened its doors. It took Jeff Courington and Kelly Bell, owners of Vino Vino, nearly two years to bring their East Austin Italian concept to fruition, but at first glance it was well worth the wait. Courington and Bell assembled an A-team to achieve their all-around vision for the place. Executive Chef Clinton Bertrand is an alumnus of Vespaio and San Francisco’s acclaimed A16. His menu reflects a love of Italian cuisine, with a well-balanced mix of traditional dishes and contemporary interpretations of classics. Pastry Chef Kendall Melton worked at Contigo before joining the team. And Beverage Director Thomas King put together an impressive, 100-percent Italian wine list that includes little-known, food-friendly wines from all of Italy’s 20 regions, from iconic estates to avant-garde winemakers. From outside, the building looks simple and understated. But inside is a classic, chic dining room with black-and-white tiled floors, white tablecloths, and modern glass chandeliers. The walls are lined with black-and-white photographs by Austin artist Nils Juul-Hansen, shot on analog film while accompanying Courington on a trip through Italy. The shiny new kitchen is visible through glass walls that keep the noise out of the dining room. Soft jazz rounds out the atmosphere. The result is truly stunning. We sipped on an excellent aperitif while we perused the menu, which is divided into classic Italian courses to mix and match. From the antipasti we chose the grilled whole sardines with grilled lemon, followed by an outstanding contorni of toothsome yet creamy house-made burrata with smoked beets, watercress, and pistachio pesto. At Al Fico even a simple margherita ​pizza shines, full of flavor, on a cracker-thin crust baked in a custom-built brick dome oven. We plan to sample all five varieties on future visits. All the pasta dishes under the primi list sounded amazing, but we settled for the mezzalune filled with salty ricotta and grilled fennel, which came swaddled in a Meyer lemon butter sauce with thin slices of fresh porcini mushrooms. Thankfully, our server brought spoons so we wouldn’t leave a drop of the delightful sauce on the plate. And a main dish of roasted duck legs with chestnut puree, ​shaved sauteed Brussels sprouts, and pickled persimmon with candied rosemary absolutely wowed us. The portions are just right for sharing, and we did, but they're also fine for single diners. Service was courteous and prompt, with King himself eager to make wine suggestions by the bottle or by the glass to pair with each course. There is much more to come at Al Fico in the following weeks. The tiny front lawn will soon have furniture and will be a welcoming spot for outdoor dining. A remodel of the adjacent space is already underway to house a long bar with tables for dining, as well as a private dining room. Courington has secured a piano so patrons can enjoy late-night jazz sessions as they sip on signature cocktails. We look forward to the evolution of this warm, inviting place.